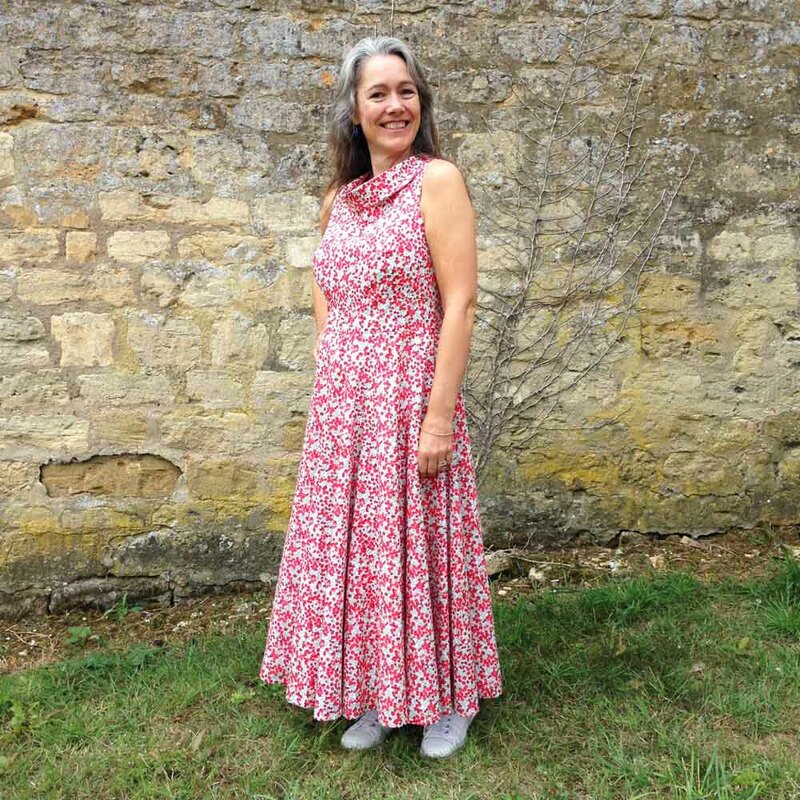 This Festive Wiltshire Dress is the last of the series of projects by the lovely Lewes Sewing Bees. 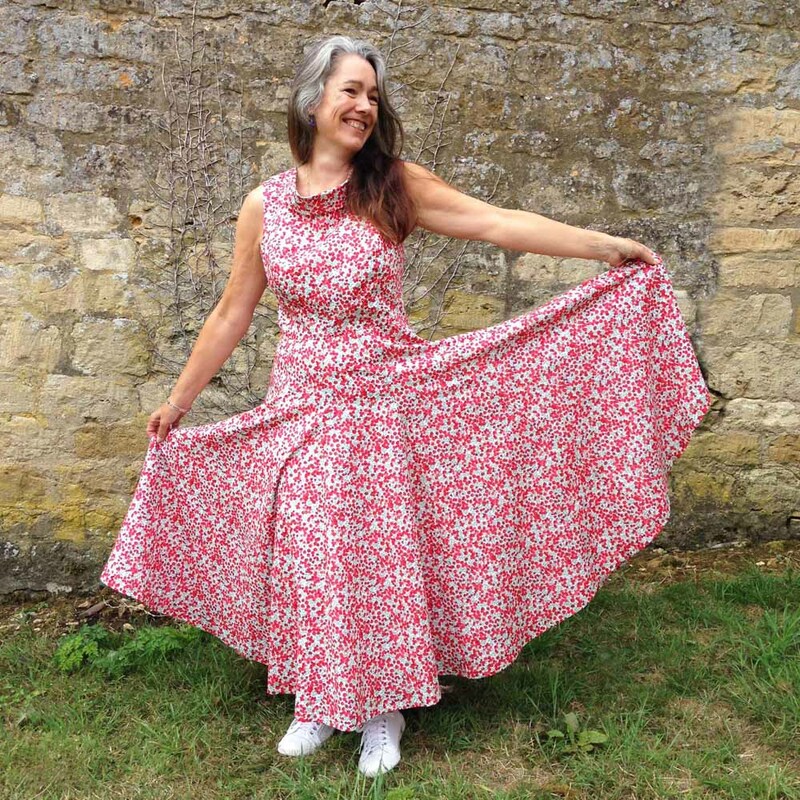 Gill Nicholls has made this gorgeous dress using one of my exclusive Wiltshire fabrics. I love this dress. It can be worn at the festive drinks parties or for the rest of the year for any special occasion. Gill has certainly got her Christmas drinks party outfit sorted for this year. It has spurred me on to get sewing for my Christmas outfit. Thank you to the lovely Pauline from the studio for modelling it here. 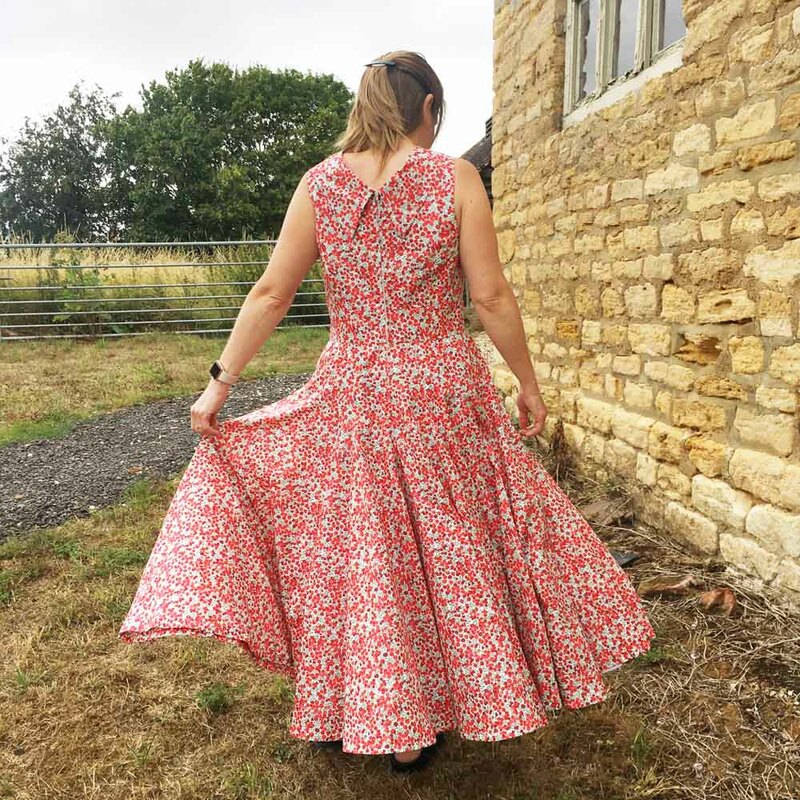 The fabric: This dress is made using my Exclusive Christmas Wiltshire – it works really well with this dress. 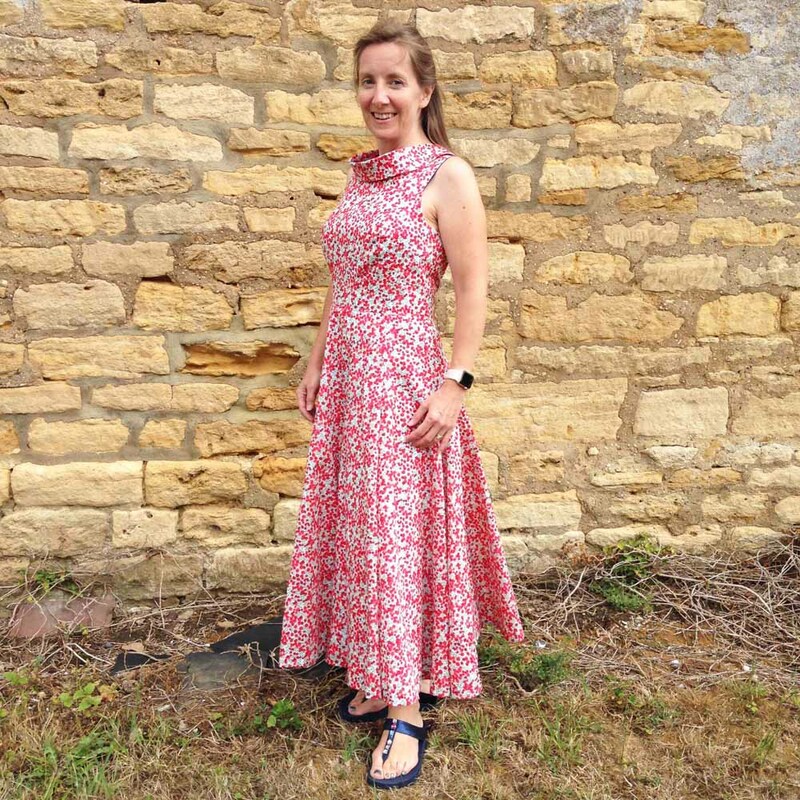 The pattern: The dress uses a Vogue pattern V8998. Gill altered the pattern slightly. She raised the back height by around 4 inches and adjusted the collar and zip length. I love the back of the dress. The back of the collar is very defined and finishes the dress off beautifully. The dress has a really full skirt so uses a lot of fabric but this makes it perfect for the party season. It can be worn with a pair of trainers to dress it down slightly or with a pair of heels for an evening out. Sarah from the studio has also been modelling this gorgeous dress. The collar looks especially great in the picture below. It gives the dress quite a classic feel. 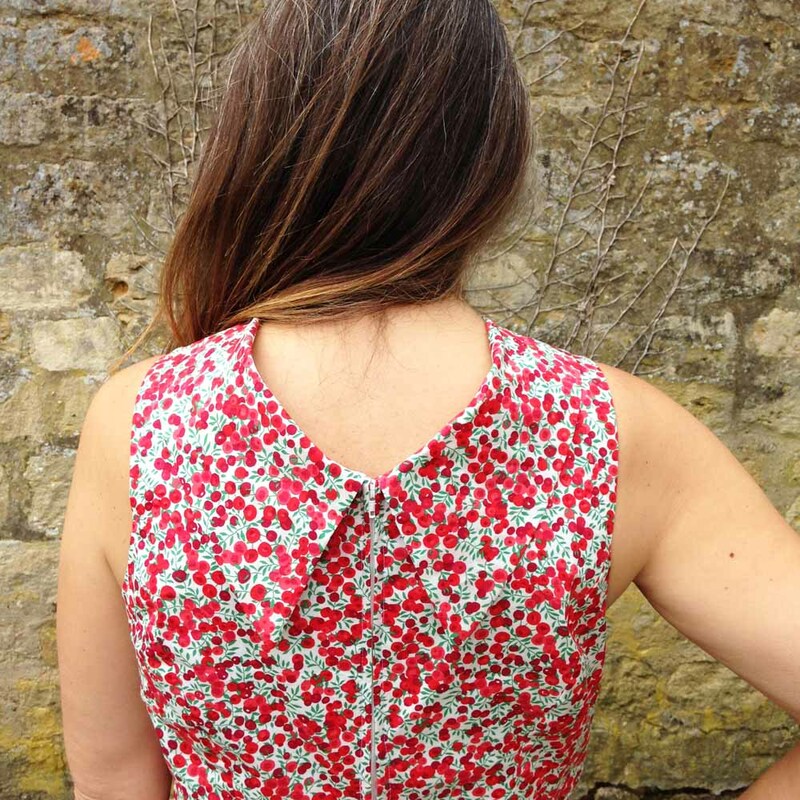 I have loved working with the Lewes Sewing Bees on this summer series of blog posts and projects. To have such talented ladies sewing with my Liberty exclusive fabrics has been wonderful. I hope that it has given you some sewing inspiration. Thank you Gill for this gorgeous dress and thank you Bees for a summer series of inspiring projects.